An Ontario man was arrested and charged after allegedly making threats against Prime Minister Justin Trudeau, his family and female members of Parliament, police allege. 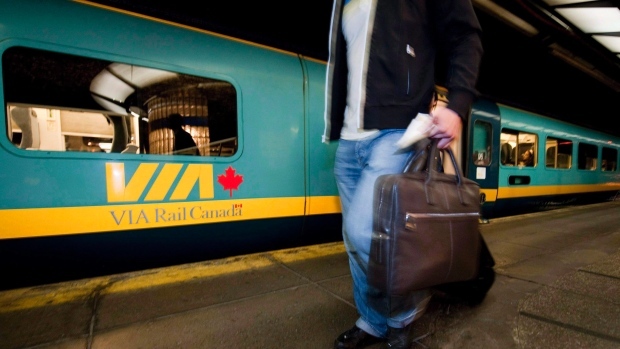 The man was on a Toronto-bound VIA Rail train from Ottawa on Sunday, when witnesses overheard him uttering threats while talking on his cell phone, Cobourg Police say. The man was removed from the train and arrested. Cobourg Police Sgt. Jeff Sheils told CTV News on Thursday that the suspect allegedly made threats against Trudeau and unspecified female MPs. The alleged threats included kidnapping the prime minister’s children, Sheils said. There were no threats made against other people on the train. Passengers who said they heard the man’s loud threats had called police and the train was stopped in Cobourg. The rail car was evacuated and searched, but nothing suspicious was found. James Martin Platts, 57, of Chatham-Kent, Ont., has been charged with uttering threats to kill. He made a court appearance in Cobourg on Wednesday. In response to the incident, the Prime Minister’s Office issued a brief statement to CTV News on Thursday. “We have complete faith in the police authorities and the RCMP Protective Policing Service when it comes to the security of the Prime Minister and his family,” the statement said.